Watch full Ginga Eiyuu Densetsu Season 2 Episode 17 English Subbed full HD online. Ginga Eiyuu Densetsu Episode 43 English Subbed online for free in HD. Gjallarhornâ€™s Roar. 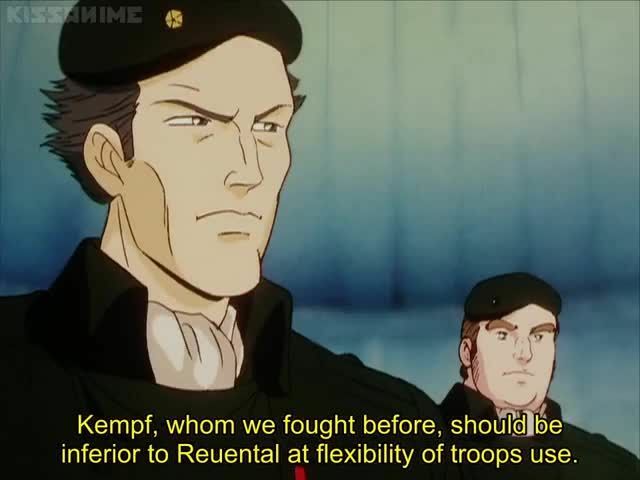 Reuenthal plans a war of attrition against Iserlohn. Reuenthal sees the Hyperion, Yang’s flagship, emerge from port and decides to rush his fleet to destroy the Hyperion. However this is a feint and the Rosen Ritter led by Schenkopp latch on to Reuenthal’s flagship and engage in combat. The battle is a draw and Schenkopp eventually withdraws. Reuenthal returns to his plan of attrition by rotating his attack forces in small groups. December 9, 798 S.C. / 489 I.C. : Part two of Operation RagnarÃ¶k launches from the Empire homeworld.